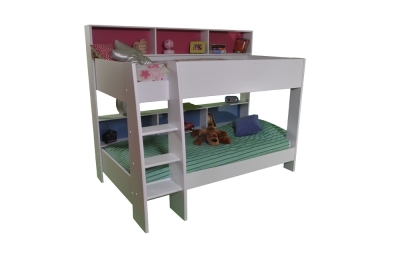 The Kids Avenue Tam Tam white bunk bed features a sturdy deep 3 step ladder and shelving for the top and bottom bunks. 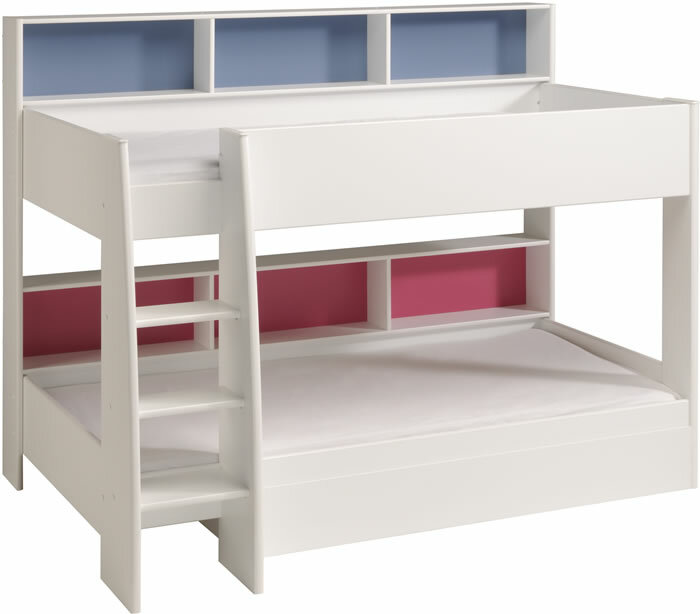 Each bunk bed has 3 storage areas which are positioned to the back of the bunk bed and have reversible Pink and Blue back panels. 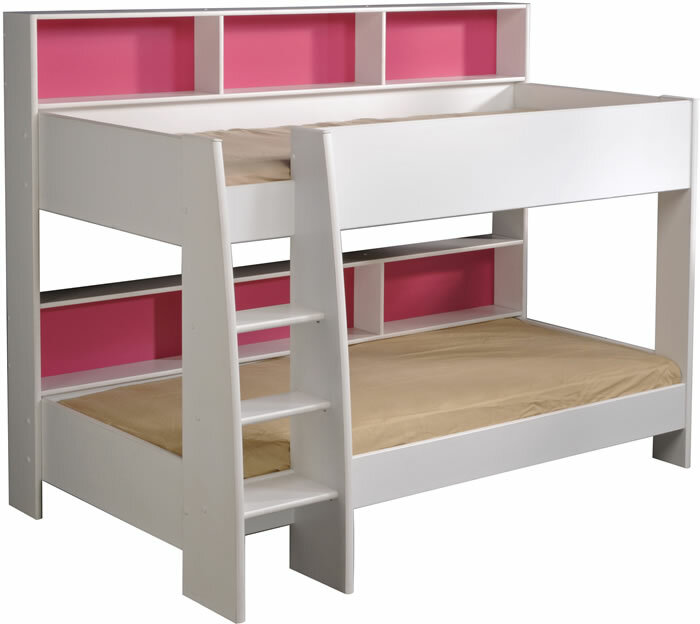 The Kids Avenue Tam Tam bunk bed in white will complement any décor and is suitable for boys and girls bedrooms. 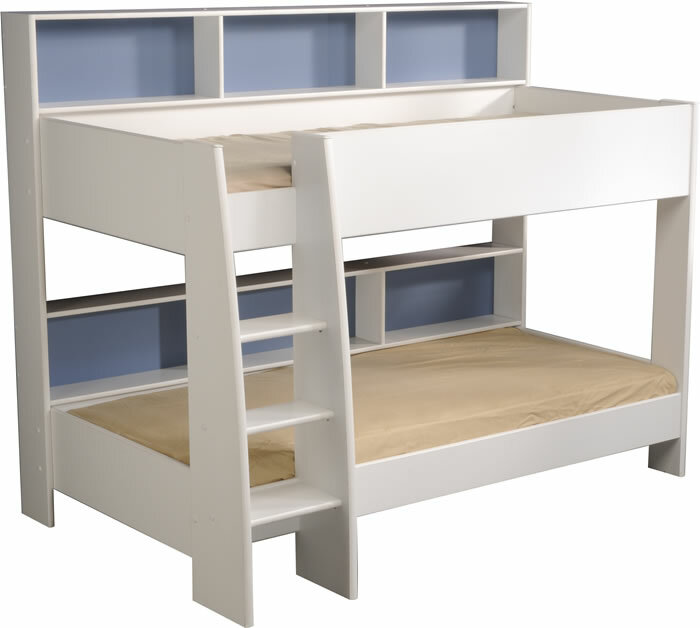 For additional storage an optional under bed drawer is available in a choice of white or grey. 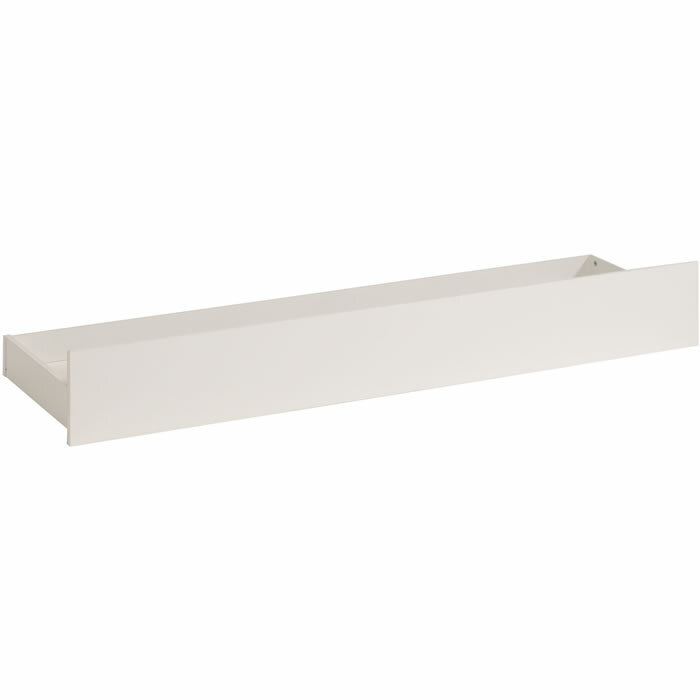 Free None Local UK Mainland Delivery 2 to 4 Weeks.